The US is to impose sanctions on Russia after determining that it used nerve agent against former Russian double agent Sergei Skripal and his daughter, Yulia, in the UK in March. The move was announced on Wednesday by the US state department. 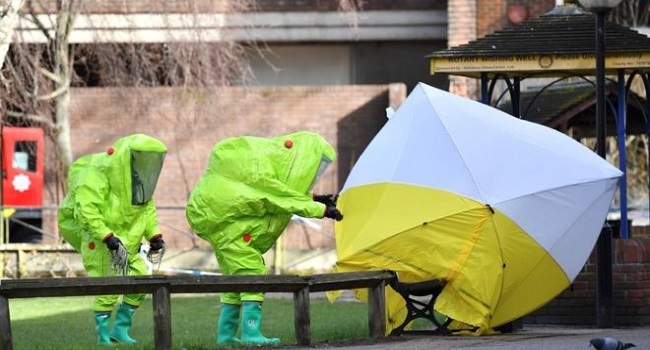 Sergei and Yulia Skripal were found unconscious on a bench in the city of Salisbury, England, on 4 March. Russia has strongly denied playing any role in the attack. “The United States… determined under the Chemical and Biological Weapons Control and Warfare Elimination Act of 1991(CBW Act) that the government of the Russian Federation has used chemical or biological weapons in violation of international law, or has used lethal chemical or biological weapons against its own nationals,” state department spokeswoman Heather Nauert said in a statement. The sanctions are to take effect on or around 22 August, she added.